Experience the Unique Atmosphere of Roland-Garros! From today and for the two coming weeks Paris and the Parisians will live according to the performances of the tennismen and tenniswomen competing in Roland-Garros. Indeed the French Open is still as famous and magical. The main question this year is to know whether Rafael Nadal will win the tournament for the 10th time… or not! Spending one day in Roland-Garros during the French Open is really something to do once in a lifetime if you happen to be in Paris during the tournament. The atmosphere is so relaxed that it is like a holiday far from everyday life. And for those who are fond of tennis attending a match has nothing to do with watching it on television… even on a big screen! The tickets for the tournament are sold out. However one can still buy tickets for the outside courts either on Viagogo, the official ticket marketplace, or as evening visitors. Both are available on the official website of Roland-Garros. A good way to enjoy the relaxed atmosphere of the French Open and the many activities offered by the sport village. Also to be mentioned: An exhibition of 22 pictures taken last year by the British photographer Steve Hiett and showing Roland Garros in blazing colours and with an unusual look is taking place at Paris Rendez Vous, in the Paris City Hall. And during the tournament all the matches will be broadcasted on a big screen located on the Champ de Mars in 7th arrondissement of Paris. 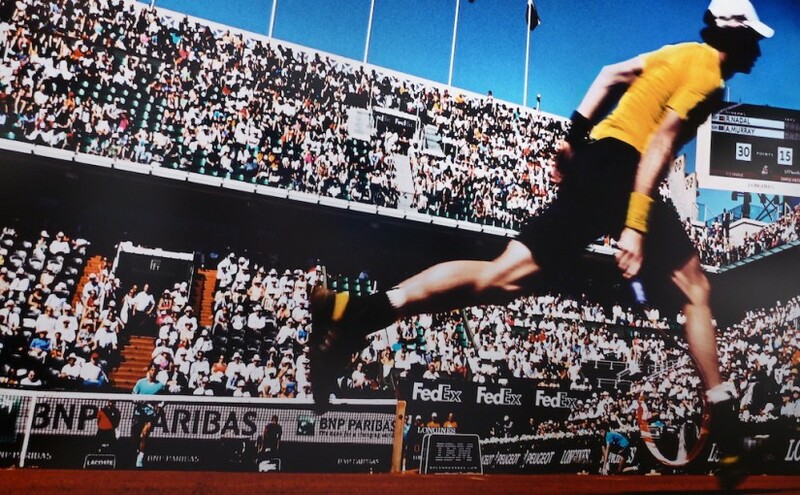 Format ImagePosted on 2015-05-24 2015-05-22 Categories EventsTags Events, Paris, Roland-Garros, SportLeave a comment on Experience the Unique Atmosphere of Roland-Garros!